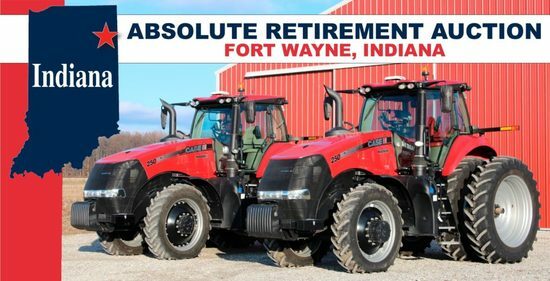 Selling tractors & sprayer, combine & heads, trucks & trailers, planting & grain handling equipment, tillage equipment & augers and other farm equipment. Preview Date & Times: This equipment has NEVER set outside; therefore, will be left in the sheds until the weekend prior to the auction. Anyone wishing to view the equipment, may do so on Saturday, February 16th from 9:00 A.M. ? 4:00 P.M.
Checkout Date & Times: All equipment must be picked up by the buyer. Any & all shipping & trucking costs will be paid by the buyer. Equipment to be removed from ground in a timely manner. Auction personnel available sale day and Thursday, February 21st for load out.